September is a time of new beginnings for many therefore making it a blimmin' good excuse for new additions to your wardrobe. I'll be starting uni at the end of the month (eek!) so have already picked up a few 'uni essentials'...new start, new look etc etc! 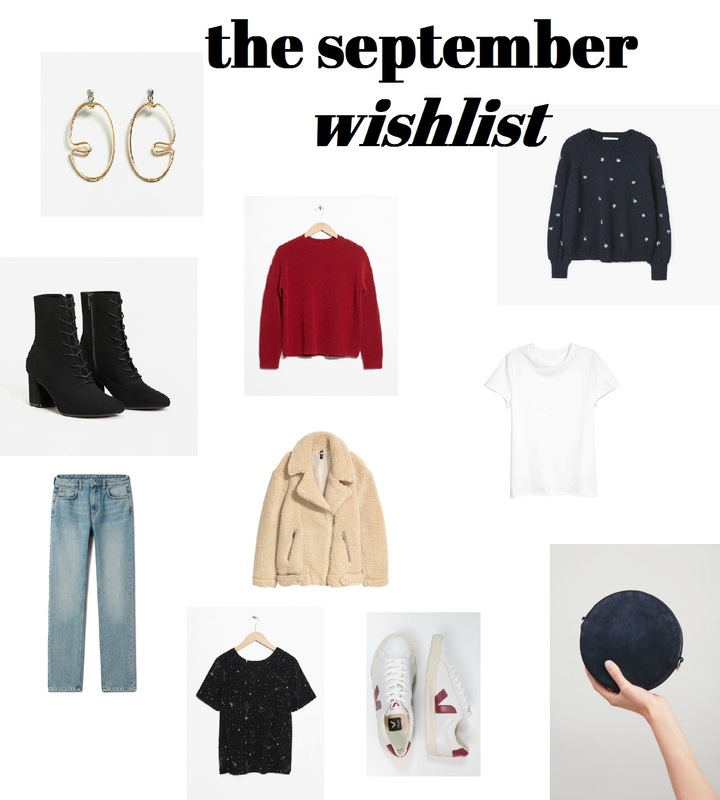 I've compiled a wishlist to see you (and me) into the tricky transitional season. Happy shopping! 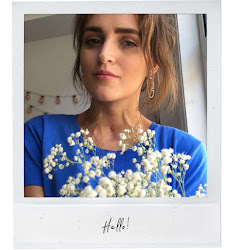 Mango Twisted Hoop Earrings £6.99 - Ok, so maybe these aren't such a uni necessity but in my opinion Mango do the best statement earrings on the high street. I love, love a good pair of hoops and have gotten loads of wear out of my current Mango pair so I think I can easily justify another. & Other Stories Burgundy Knit Sweater £35 - Another recent order, oops. I'm loving red right now but I find the brighter shades a bit too much for my colourphobe self but this darker shade is so spot on. Mango Stars Embroidered Jumper £35.99 - Mango was a real favourite store over the summer and it seems it'll be no different this season! I'm rather partial to anything with a star print and as I'm so in love with my shirt (Matalan have an identical version here! )I thought I'd get a jumper version for when it's a bit chillier. Mango Lace Up Boots £79.99 - Hello, By Far dupes! Can you imagine stomping around in these paired with just about, well, everything? I like how the heel isn't so high they're fine for everyday wear but equally it makes them a fab option for when you wanna look a lil' fancier too. H&M Pile Biker Jacket £49.99 - You need to grab this while you can if you like it because it's one of the 'it' pieces from H&M this season. Can totally see why, I mean the colour and the fact that it's faux-shearling means that it'll get completely filthy after a couple of wears but it looks so incredibly toasty and cool. H&M Cotton T-Shirt £6.99 - This one of the best white tees I've found, it's the softest material without being too sheer and the raw hems make it just a little bit cool. I got this in the size up for a slightly slouchier fit. Weekday Seattle Blue Jeans £40 £32 - I loooove the fit of these and dontcha think they'd look pretty fab with the red jumper and the hoops and the Veja trainers? & Other Stories Starry Sky Top £35 - As I said, I'm very into all things celestial right now and I think this is so, so pretty! The low back is kinda special too, not my usual thing but I'd definitely wear this on a night out. Veja Trainers Extra White/Marsala £84.99 - Veja is a French brand that produces ecological and fairtrade shoes that also happen to look great too! They come in so many colourways but these are my faves, I think I'll add them to the collection one day as I love the ethos behind them and also, you know I love my trainers. Cos Circular Shoulder Bag £79 - Saving the finishing touch for last, we have this delicious bag from Cos. You couldn't fit much in it but it'd be worth sacrificing the fourteen lipsticks I cart about with me because it's so beautiful! Anything catch your eye? I'd love to know your transitional must-haves!